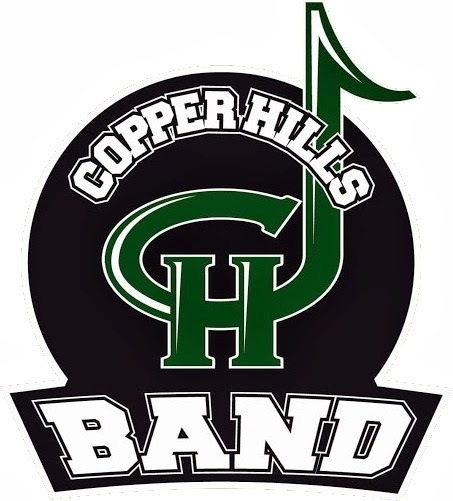 The band will participate in the West Jordan parade on July 4th again this year. As per tradition, all CHHS band alumni are invited to participate. You can find this year's parade music under the Marching Band tab on this blog. They're playing "The Magnificent Seven", the patriotic song, CHHS Fight Song, and the National Anthem. Please wear a summer band t-shirt (blue or green) and khaki shorts, if possible. If you need a school instrument, please contact Tyler Whittaker at the high school after practice this week. There is no guarantee that there will be available instruments, but it doesn't hurt to try. Please also try to come to at least one practice on July 2nd or 3rd from 7:00-10:00 am.